Chaise lounges, sometimes called "fainting chairs," are interestingly shaped bedroom and living room furniture. 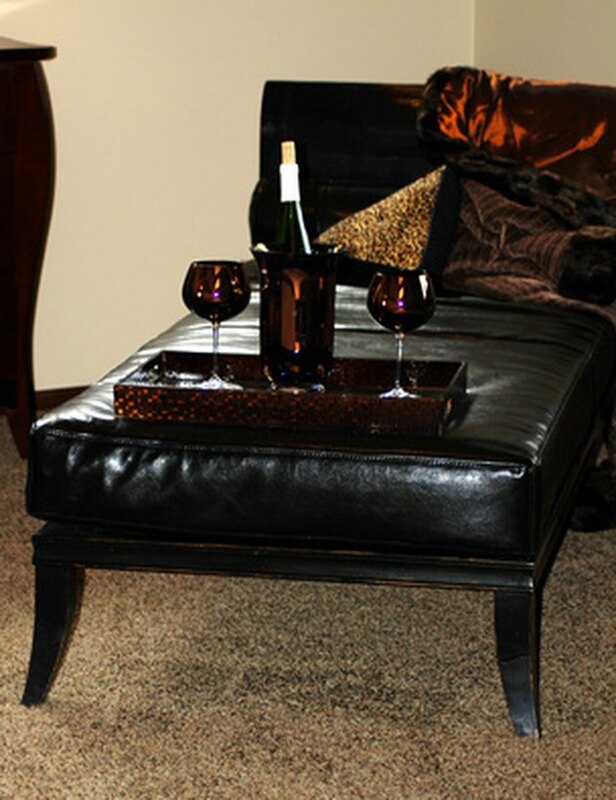 They generally have a length similar to a loveseat, but more resemble the shape of an overstuffed chair and ottoman. 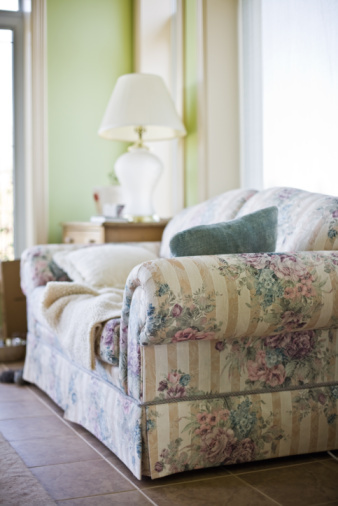 If you have a chaise that has seen better days, you can breathe new life into an old piece of furniture like a chaise lounge by reupholstering the material to better coordinate with your preferred style of decor. Fresh upholstery material can breathe new life into old furniture. Remove your previous fabric pieces, section by section. Use a flathead screwdriver to pull the staples away from the wooden frame of the chair. These pieces should be removed as gently as possible so they can be used as the templates for your new material. Replace any frame work, batting or upholstery foam as needed. Before applying your new material, be sure your chair is stuffed and well-shaped. Use spray adhesive to stick your foam to the frame of the chair as needed. Apply a second layer of spray adhesive to the top of the foam to hold your cotton batting in place before stapling your batting to the frame. Drape a piece of muslin cloth over the area you want to recover. This step is only necessary if you weren't able to preserve your previous fabric pieces. Trace out the shape of the area you want to re-cover. Fold your muslin vertically to check for symmetry. Add one inch around all sides for allowances before cutting out your template from the replacement fabric. Place your muslin or original fabric templates over your new upholstery fabric. Trace around the templates directly onto the upholstery fabric, or pin in place with straight pins. Cut along your pattern to create your fabric pieces. Position your fabric over the area you want to re-cover. Pull your fabric taut over to the underside of your chaise. Staple your fabric pieces directly to the underside of the wooden frame. If your chaise has any curved edges, walk your fabric over inch by inch as you staple it in place. If your fabric is thick, you may need to cut short vertical slits in the corner of the material to help it sit properly.